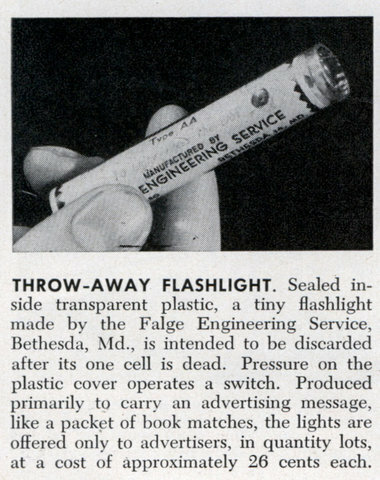 Sealed inside transparent plastic, a tiny flashlight made by the Falge Engineering Service, Bethesda, Md., is intended to be discarded after its one cell is dead. Pressure on the plastic cover operates a switch. 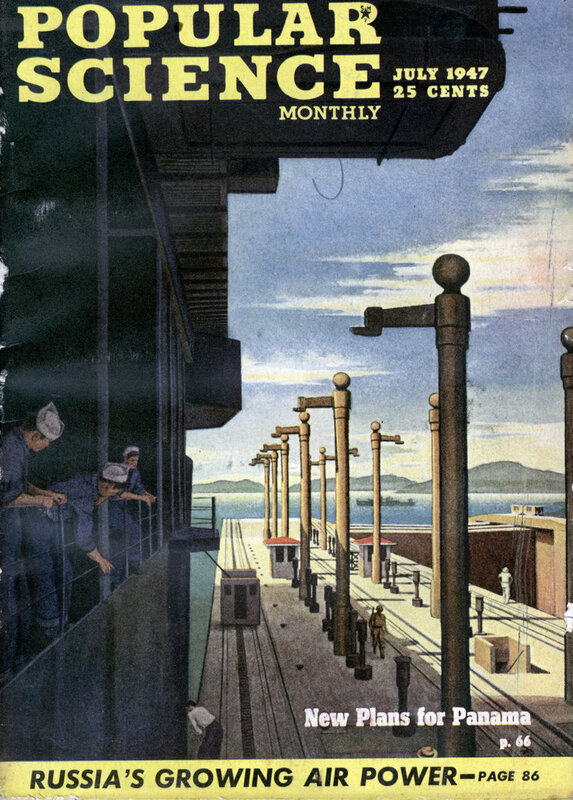 Produced primarily to carry an advertising message, like a packet of book matches, the lights are offered only to advertisers, in quantity lots, at a cost of approximately 26 cents each.